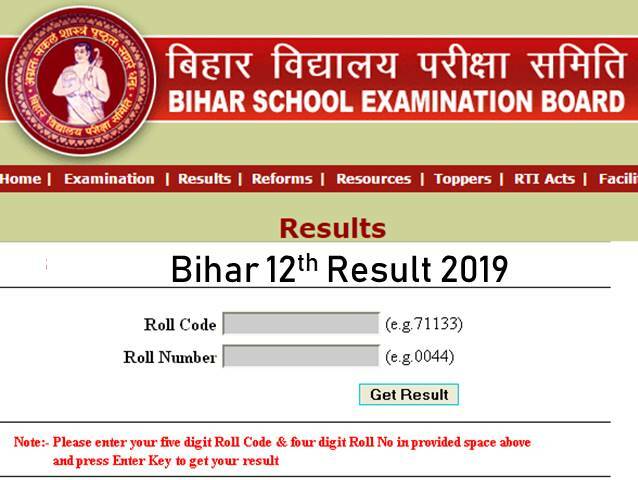 Bihar Board result 2019: Bihar board 12th result has been released on the official website biharboardonline.bihar.gov.in today at 2.30 pm, 79.76 percent of students have passed in the board exam this year. Bihar Board chairperson Anand Kishor officially released the Bihar Board 12th result at BSEB office in Patna. This year the board prepared the result in a record time of 28 days after beginning the evaluation process on March 2. Step 3: Enter the required details. Cross check the information before you hit the submit button. Step 4: View your result and download your score card.